Hello friends! 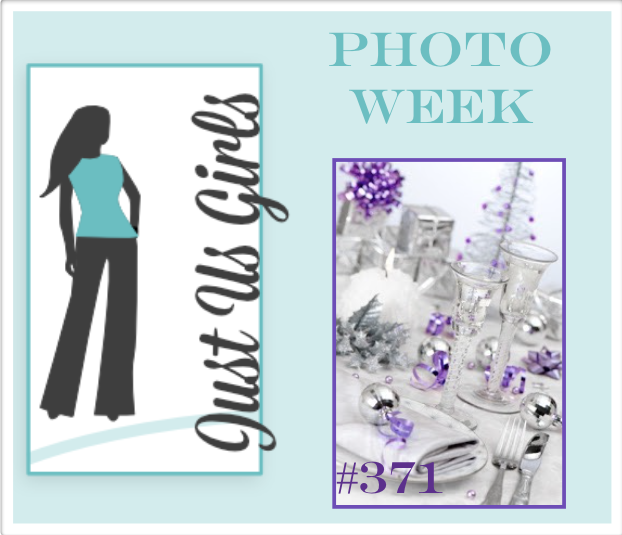 Just Us Girls has a great photo challenge going on and this is the lovely photo we have to inspire you this week! I took some inspiration from Kay Miller as well in this post. I created a simple box and then die cut the gift box from purple checked paper and the bow from silver paper and adhered it to the box. The sentiment was die cut three times and layered to make it more dimensional. Easy peasy! 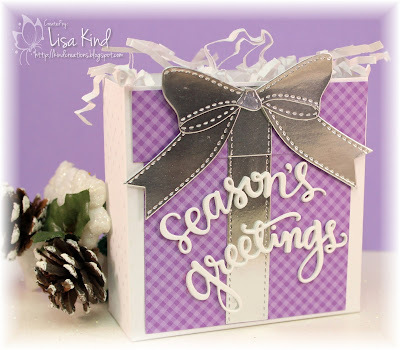 You can see more fabulous inspiration from the JUGs design team and our November guest on the JUGs blog. 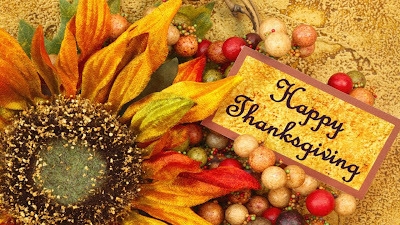 Hello and Happy Thanksgiving to my American friends! I hope you are all stuffing yourself with delicious food and spending quality time with your loved ones! I know that's what I'll be doing today! The new challenge over at the Time Out blog is a Theme Challenge. 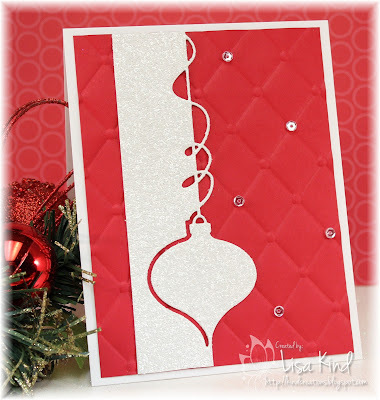 The theme this time is Christmas with the optional twist of using glitter and/or shimmer. I love glitter and shimmer! 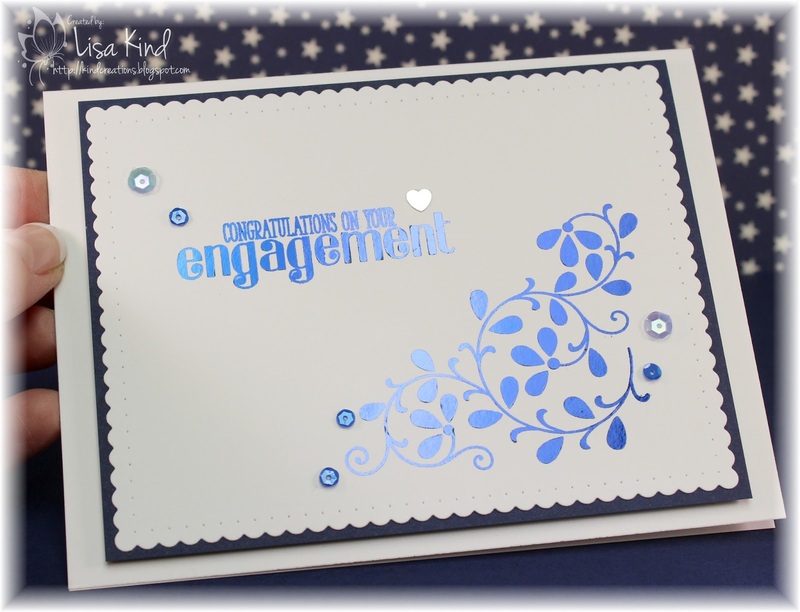 You can see more from our Time Out design team and our guest for this challenge, Valentyna, on the Time Out blog. Hi friends! I have a very special card to share today. My niece Stephanie got engaged over the Columbus Day weekend. Her now fiancé, Chris, proposed to her at the top of a ski hill in a popular ski resort just outside of Buffalo, NY. They rode the chairlift up and when they got up there, he said that this would be a great place for a wedding or an engagement. It was so beautiful in the fall with all the beautiful leaves changing. He then got down on his knee and proposed. He's such a sweet guy and perfect for Stephanie. Today we are celebrating their engagement with a dinner at Stephanie's mom's house. I bought them a pretty Kate Spade frame to house their engagement or wedding photo. I of course had to make a card. Stephanie wants to get married next fall and wants royal blue as her theme color. So I thought I'd use some blue foil to create this card. I ordered the foil and this stamp set from SSS and it just arrived yesterday! I had to stamp it on cardstock and take it to Office Max to have them copy it on their laser printer (I don't have one). Then I was able to foil it. It's difficult here to see the shine of the foil. Here's a great photo of Stephanie and Chris. They usually take goofy photos together (I'm worried about the wedding photos! LOL!). I wanted to print one of the goofy photos and put it in the frame, but I didn't think of it before the store I bought the frame from wrapped it! Hey everyone! 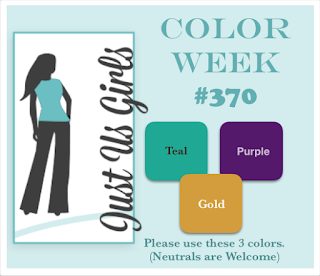 It's color week over at Just Us Girls and we have some very pretty colors to work with. I chose to work with this mosaic stencil and purple and teal inks. 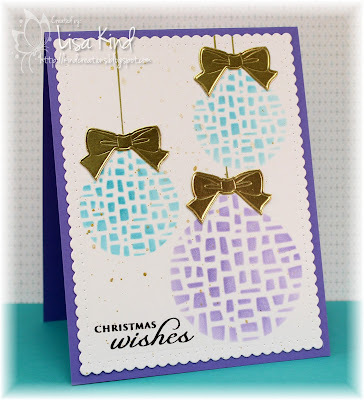 I used a metallic gold pen to draw the strings the ornaments are "hanging" from and some pretty shiny bow die cuts. I also spattered some gold water color on the card front. 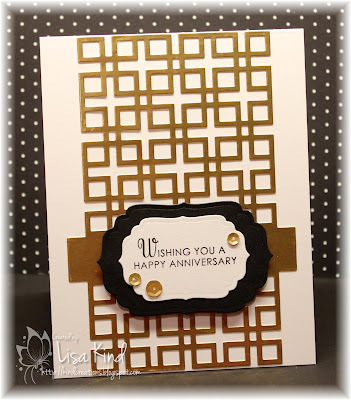 Not sure how I like that, but it was either that or sequins (which I use on every card!). Hello friends! 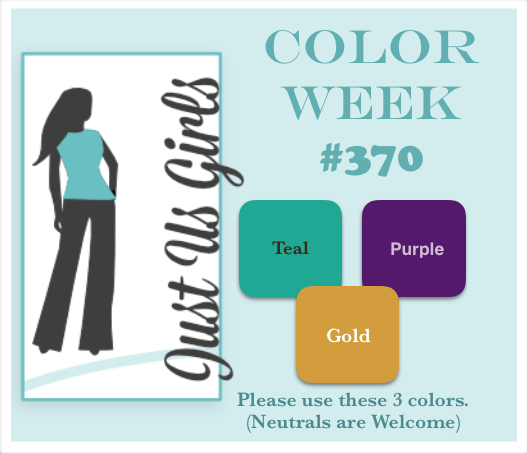 The Just Us Girls challenge this week is to use metallics. 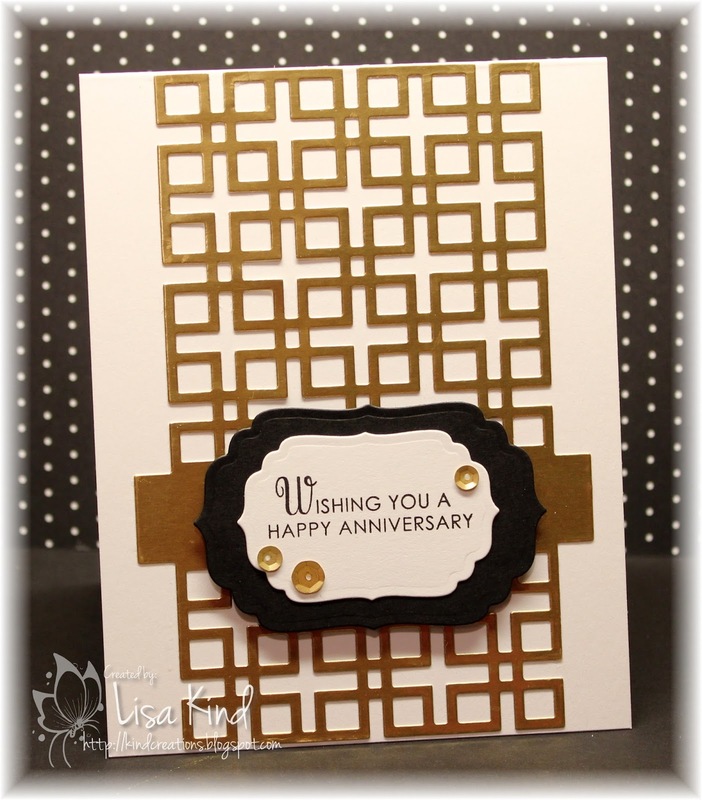 I created a few things with metallics for this challenge for my design team card, so here's another that I created. 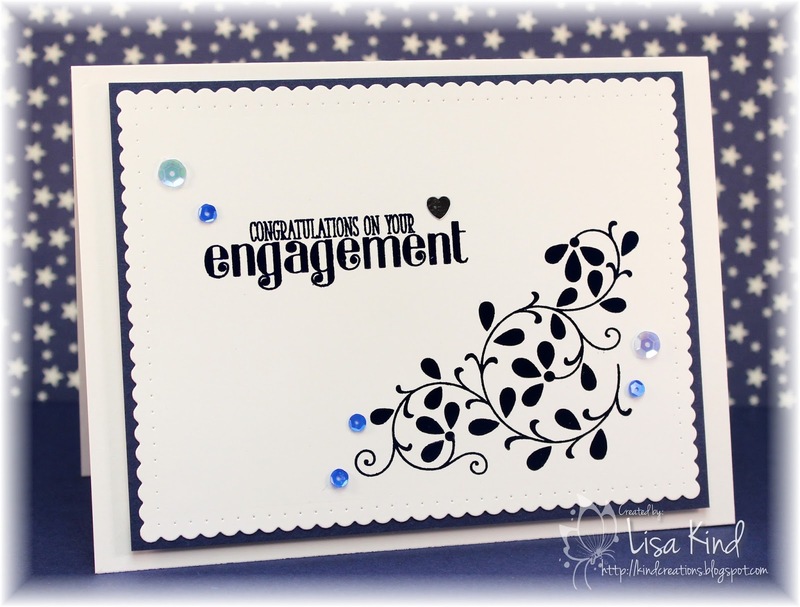 My best friend's sister and brother-in-law celebrated their 45th anniversary, and I made this card for them. 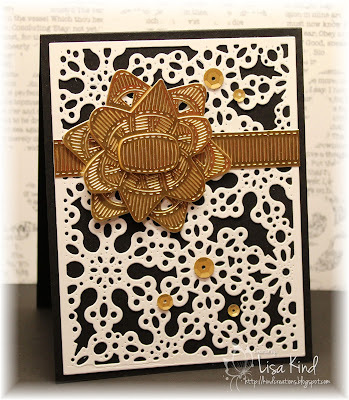 I started by die cutting the gold piece and adhering it to a white card base. 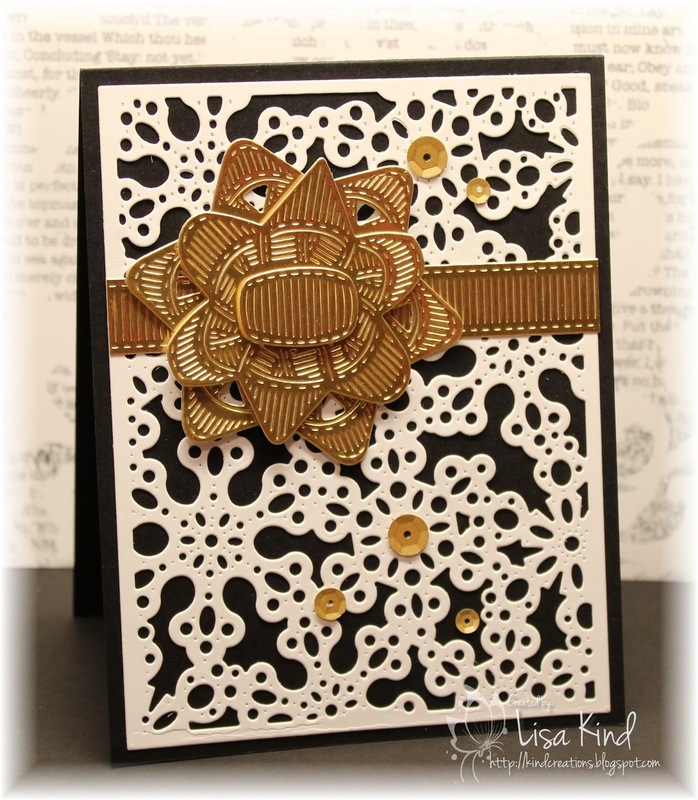 I love this gold paper from MFT! It's so shiny! Then I pulled out some older Spellbinders dies and cut the black and white pieces. I added the sentiment and sequins and was done. They loved the card! You can still play along with the JUGs challenge until Thursday. Thanks for stopping by! I'll be posting tags I made using metallics soon! Hi there! Do you follow trends? 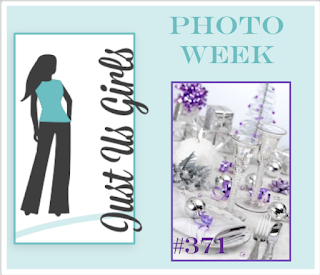 Just Us Girls has a great trend challenge this week. 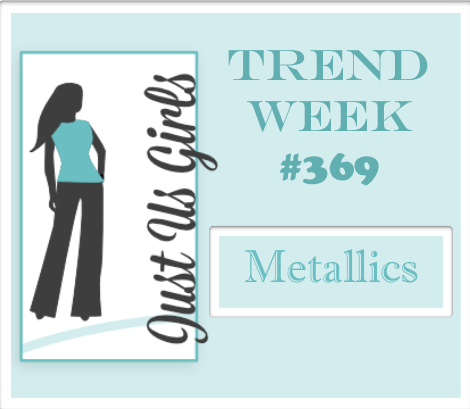 We are using metallics! I made a bunch of things with metallics for this challenge, but settled on this one to post. I'll post the others later. For this one, I started with the snowflake cover plate in white and mounted it on a black base. The bow die is a new one from Papertrey Ink. I die cut it from gold paper and layered the bow with dimensional tape. I just added sequins and was done. This will be a Christmas card when I finish the inside! Hi all! 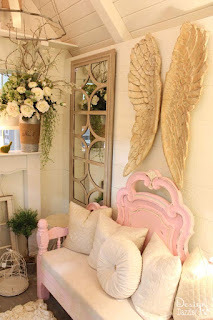 It's Home Sweet Home challenge over at the Time Out blog. We give you a picture of a room in a home to be inspired by. Here's the lovely picture the girls chose for this challenge. Lots to be inspired by! I went for the pink and kraft colors in the photo as well as the pattern on the mirror. I tried to find a stencil close to it and this was as close as I could get. 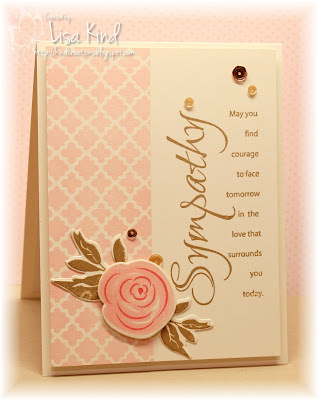 I sponged pink distress ink through the stencil then cut it down. 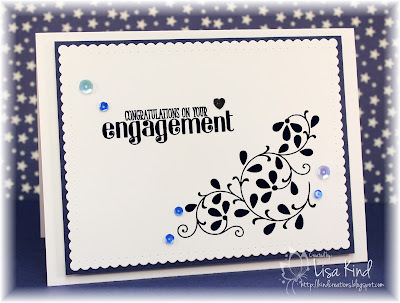 I stamped the sentiment (my favorite one of all time for sympathy cards) in kraft ink. 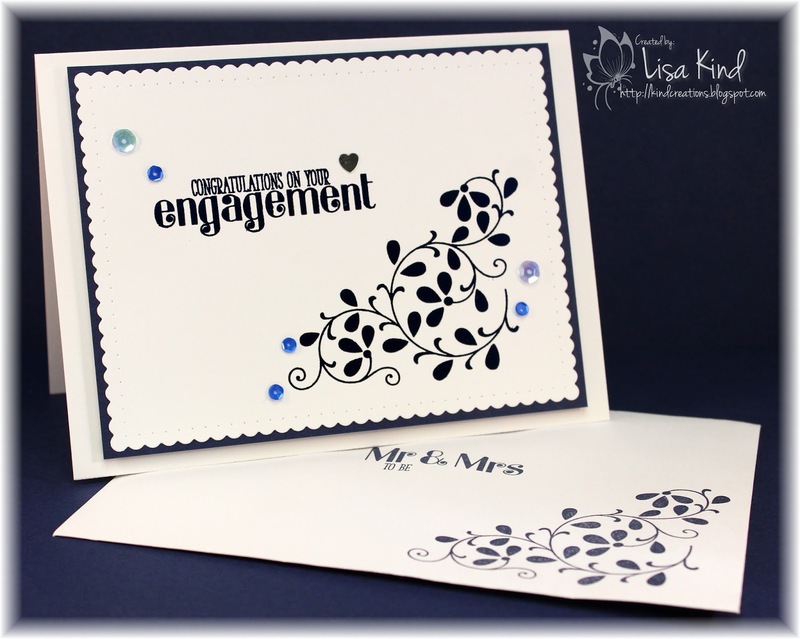 I then stamped the flower in three different inks using the MISTI to help align the three different stamps. The leaves were stamped in the kraft ink also. 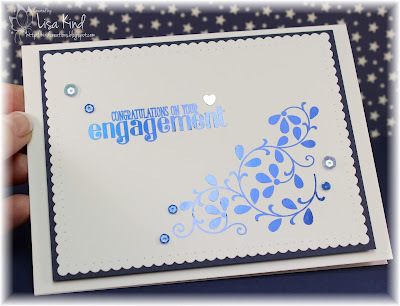 The flower and leaves were die cut and added to the card. I had some pretty sequins to match the colors. This panel was added to a vanilla base. You can see more inspiration from the Time Out design team and our guest for this challenge, Hazel, on the Time Out blog.